Sumo Digital has hired former Sega Hardlight operations director Harinder Sangha to firm’s new mobile studio in a similar role. She joins studio director Chris Southall at the Leamington Spa branch and will be tasked with helping grow and staff up the team. 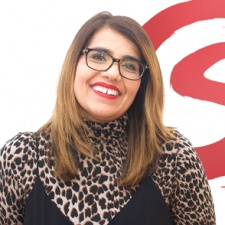 Sangha has previously held numerous senior positions at companies such as Codemasters and Sega, with her most previous being operations director and interim GM for Sega Hardlight. “Building a new studio begins with a clear vision and the hiring of great people,” said Sumo Digital managing director Gary Dunn. Sumo Digital co-founder Paul Porter recently left the company to join the board of parent company Sumo Group as its chief operating officer.